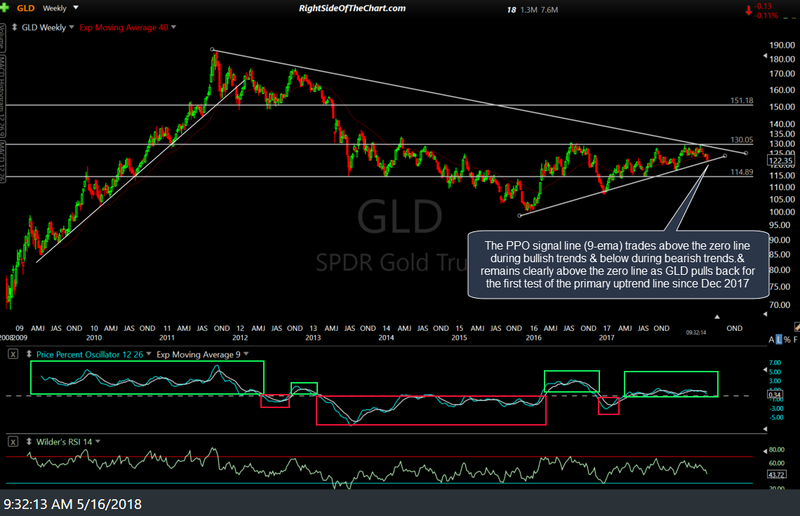 The next chart below is a weekly chart of GLD. 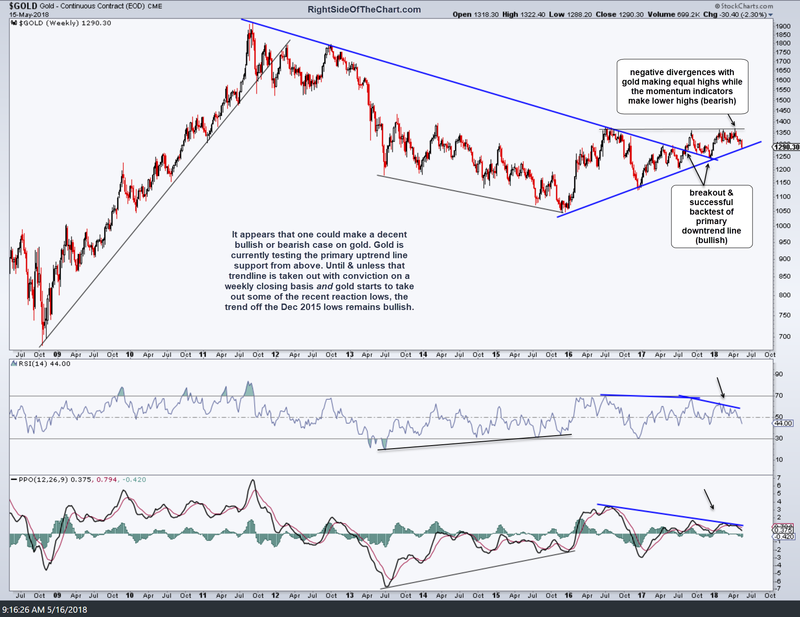 The PPO signal line (9-ema) trades above the zero line during bullish trends & below during bearish trends.& remains clearly above the zero line as GLD pulls back for the first test of the primary uptrend line since Dec 2017. 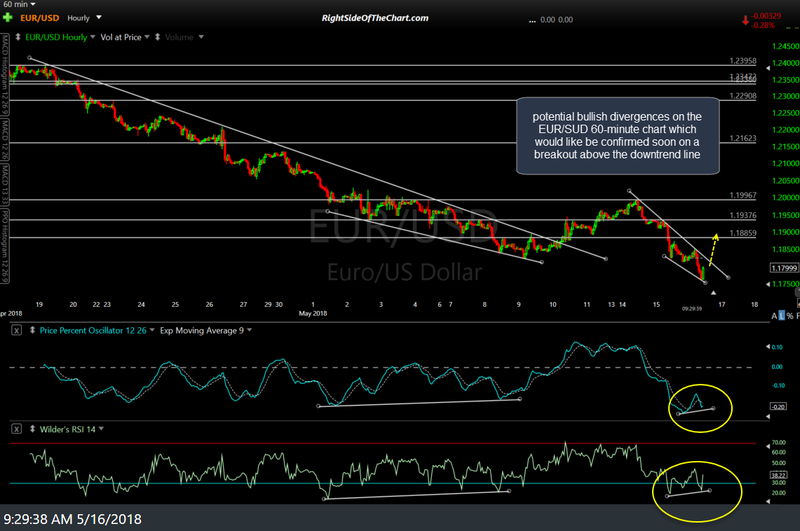 Despite this undercut of the recent support zone highlighted on the daily chart of the EUR/USD in recent analysis, it still appears that the US Dollar is poised for a correction (Euro up = Dollar down) with potential bullish divergences on the EUR/SUD 60-minute chart which would like be confirmed soon on a breakout above the downtrend line. yeah just bought calls on gdx for 23 strike july.